FARMERS hanging out for more rain will most likely have to wait to Wednesday or Thursday. The amount of rain will also be determined by the time the front passes through the Warwick and Stanthorpe areas. Bureau of Meteorology forecaster Adam Blazak said a front was expected to move through the area on Wednesday or Thursday. "If it moves through the area in the middle of the night we might not see a lot of rain," Mr Blazak said. "The front could bring 5mm to 10mm rain if it comes through in the afternoon. "There could be some gusty wins on Wednesday but not in as wide a band as we saw on Sunday." 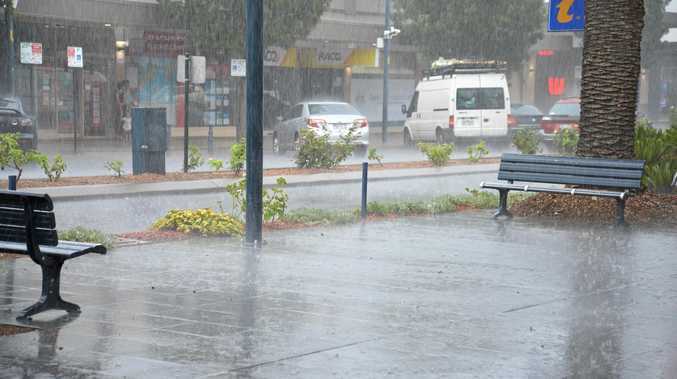 The heaviest rain on Sunday afternoon was from Toowoomba towards the Sunshine Coast and Wide Bay area. Winds of 100km/h hit the Toowoomba and Oakey areas. The official Warwick recording from 9am Sunday was 4mm but in parts of Warwick there was less than 1mm. Stanthorpe didn't have a drop of rain on Sunday afternoon and Allora only had 2mm. There was a light shower at Killarney on Sunday after 7mm overnight Saturday.